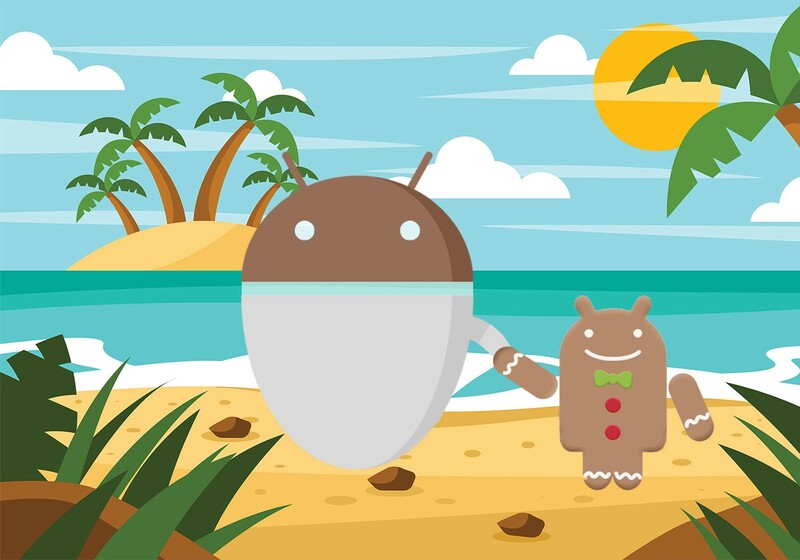 While writing UI test for Android with Espresso, you might have noticed that dealing with RecyclerViews is not straightforward as with ListViews. But when it comes to views inside a RecyclerView’s item, how do you deal with it? Suppose we have a RecyclerView whose items are editable notes and you want to replace the text contained inside the row or want to check if text contained in the EditText of a given row matches what you expected. And what about checking the content of the EditText against a given string? You will have to create a custom Matcher that scrolls the RecyclerView to the given position and performs a check on the children of the view found, but once again it would not be straightforward and it takes a lot of boilerplate each time. So I decided to write my code once and use it for all my tests. Initially I wanted to write extension methods for the RecyclerViewActions class but then I decided to keep things separated and go for a new class named RecyclerViewChildActions which is based on the functionality available in RecyclerViewActions and adds actions and matchers on RecyclerView’s items children. 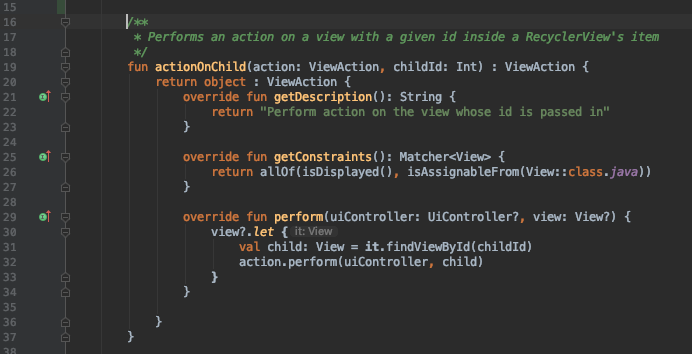 which takes in a ViewAction and the id of a view to perform the action on. passing it to an action from RecyclerViewActions (actionOnItemAtPosition int the example above). RecyclerViewChildActions implements a custom matcher too. 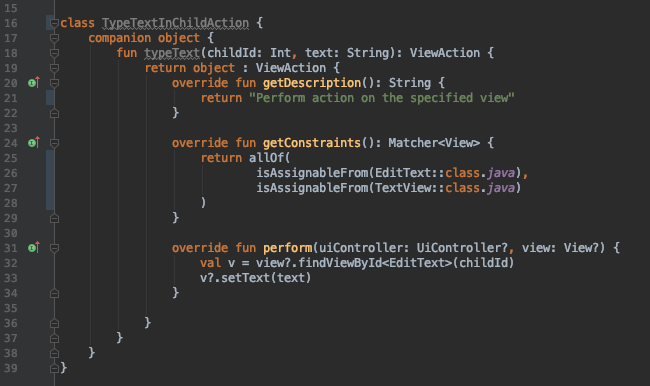 and takes in the id of a view which is a descendant of the RecyclerView’s item placed at “position” and a childMatcher to match the view against. directly on the RecyclerView as a parameter to a matches function. For more detailed information refer to the gitHub repository of the project. Any suggestion or contribution to extend/improve this api is warmly welcome.